Design a bedroom that gives your budding artist plenty of opportunities to let their imagination run free. "A flexible desk grows with your child and can be used in different ways, as a space for creativity, play and homework." Creative play allows kids to tap into their imagination and a world beyond rules and obligation. 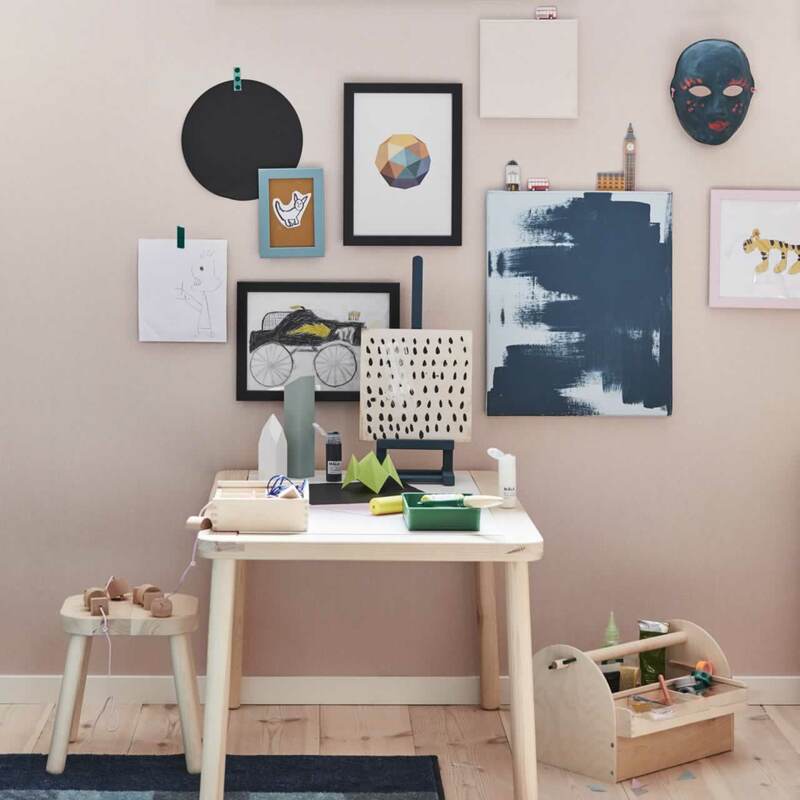 Turn the wallspace around their desk into a stimulating and inspiring view for your aspiring artist by displaying their paintings and works in progress. 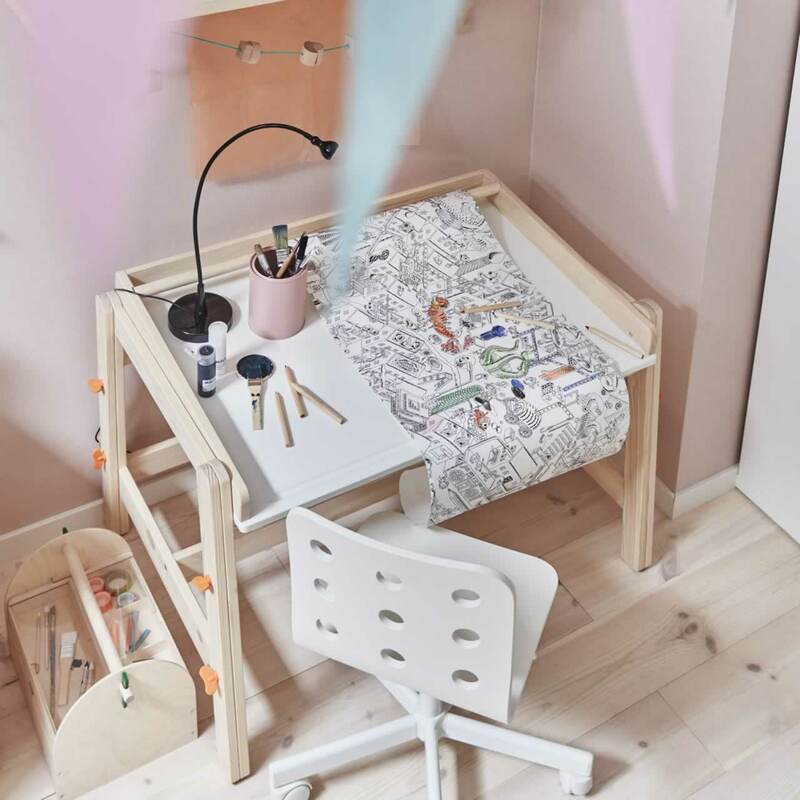 ‘I wanted to design a space where kids can enjoy their own creations,’ says interior designer Ellen Vidstige. Deep storage bins are great for keeping art supplies organised: markers, chalk, big sketch pads – everything needed to get creativity flowing. ‘I chose a mix of open and closed storage for this room, so there are places to tidy things away but also shelves and surfaces to display inspiration,’ says Ellen. "I used the bunk bed as a room divider to make a creative corner. 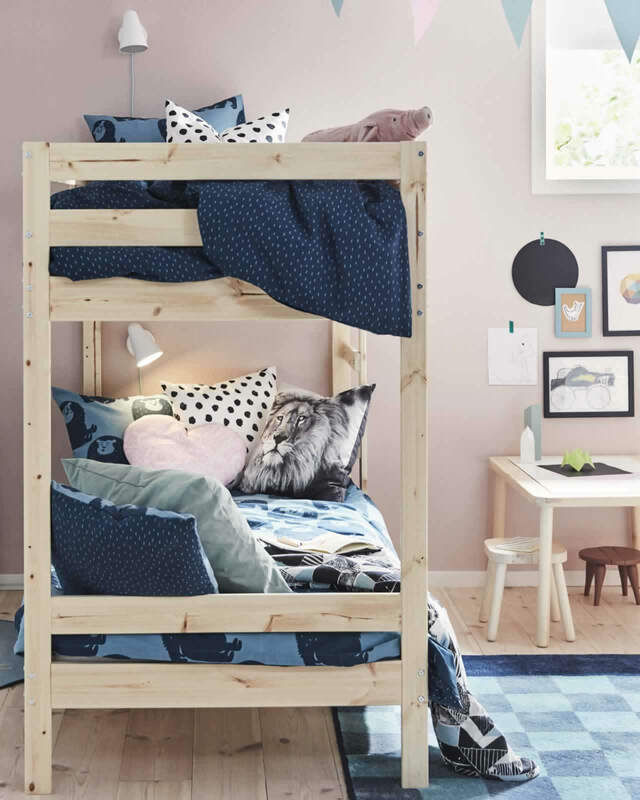 If the room isn’t shared, the lower bunk makes a cosy hang out when you add cushions and throws like a sofa."